Using a local plumber can have its advantages for sure. 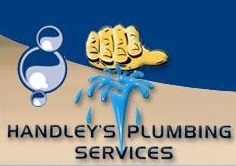 A local plumber should be able to arrive quicker than a plumber compared to a far distance away. A local plumber can normally come before your work-day begins or when your work-day ends. A lot of plumbers normally have their first visit or appointment at 7am in the morning. If you use a plumber close by, it may only take them 10 minutes to be at your location, compared to a plumber who needs to leave 1 hour before. A plumber travelling from a further away distance will likely need to charge a higher service call out fee. A plumber located further away may not be so interested in a small job – such as changing a tap washer. The travelling time and expenses could make the job unprofitable. Just because a plumber comes up under a plumber search followed by a suburb does not mean that they are a local. The only way to check if a plumber is local is by checking their “contact us page” and seeing if their listing is associated with a maps location listing.